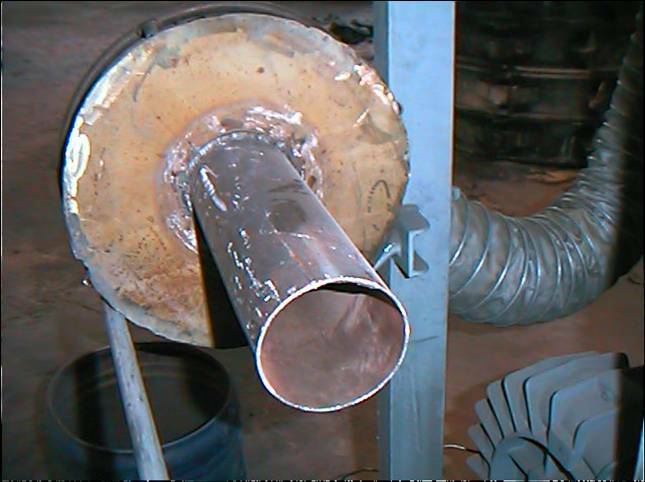 Exhaust Hot Air at 650°C with flexible pipe Inconel coated with insulation. 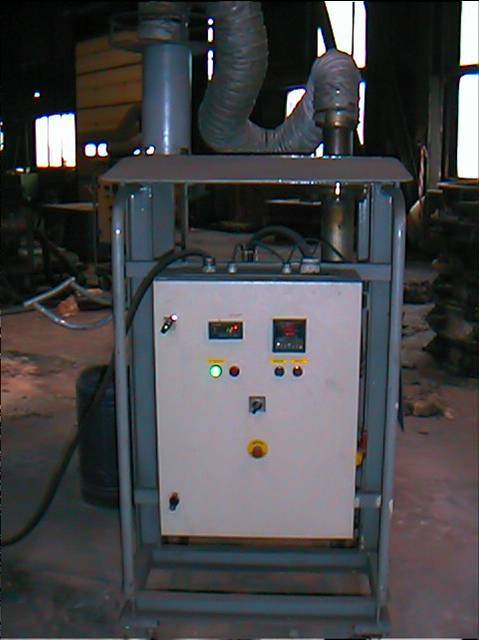 Drying and preheating of molds for speciality steels. Power 36 kW 380 V 3 phase.